Handle tough situations with ease and get back in control effectively. Digital Version only. Handling tough situations is part of being an umpire. By nature they are stressful but you can learn ways to manage them successfully. Part of that is using warnings and ejections as tools to reign in players and coaches and to regain control of a game before things get out of hand. 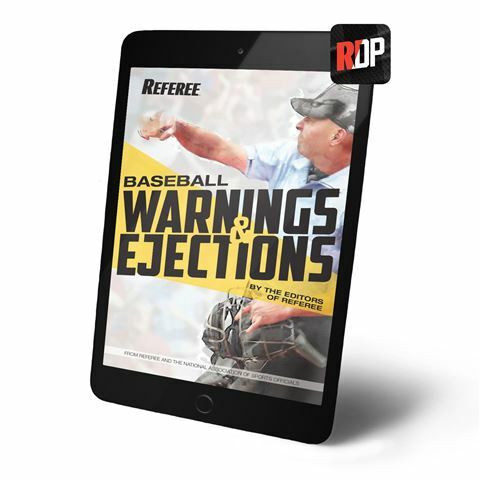 In Baseball Warnings & Ejections, you’ll discover the techniques, rules, philosophy, judgment and mechanics involved with managing tough situations and using warnings and ejections strategically. You'll also learn how to report on their use after the fact to make sure you're covere in the case of an appeal.